Being on stage requires a lot of discipline and confidence. But if you are living behind the curtain, how can you shine? Success is not about hitting the mark every time. It’s about showing up, willing and ready to do the work. But how much is your success dependent on the applause, acknowledgement, and recognition from others? People have more influence on how we live our lives whether we want to admit or not. Just think, there would be no reason to have marketing campaigns if you had the greatest influence over yourself. However, that’s not the case. Roadblocks, temptations, distractions, and all around nonsense buy for your attention. The reward is increased sales. Now this makes sense from a marketing perspective, but how in the world does it relate to your life, your purpose, and your success? Surely you have the answer. You ARE the greatest influencer of you! You see it’s easier living behind the curtain, because there is less risk. Yet, you are wanting more than a backstage pass. You want to be on stage. Tough to do, but definitely not impossible. Today’s episode is brought to you by…. Growing up, I was quite the performer. From music (both singing and instrumental) to plays and musicals, and even directing. Yes, I was the cousin who every time the whole family got together, I orchestrated a production of some kind. At Christmas, it was presents and Jesus. Usually it had to do with the holiday in some way. And then I grew up (only by years), as I’m still a child at heart. Bigger stages of opportunities opened up. It wasn’t just the loving eyes and applause of family anymore. It was strangers and teachers, professors and bosses, a husband and in-laws that were all watching now. This was a much bigger stage with greater impact. How in the world could I do what I thought I should be doing with all of them watching? I must say, some of those people were incredible. One of my bosses, named Sylvia was an out-of-the-box extraordinaire when it came to her job and leading a team of people, including me. You see, she was the Vice President of Nursing Services for the hospital. For me, she was my primary boss, but I did have about another 10-12 people who I worked for directly. Living behind the curtain was never an option for Sylvia. She would push and pull you in all different directions without you even knowing what she was doing. She was truly a blessing to me. But then I had a boss that would only pull me into his office and tear me down. Told me everything I was doing wrong. Eventually, I left that job and pursued other ventures. Maybe you are living behind the curtain. Some by choice of yourself and other by force of circumstance. In life, it seems we have these dynamic differences that shackle us to our fears. When I was with Sylvia, I was confident and disciplined. I knew exactly what I was suppose to be doing. But the other job only left me with confusion about myself. I began questioning who I was, what I was doing, and let fear become my stronghold. Living behind the curtain isn’t a place for you to shine. God did not create you to sit back and watch everyone else in the spotlight. He gave you YOUR spotlight to shine and impact the world you touch. So today is a brand new day! A day to open your heart to what God is telling you. No more living behind the curtain. 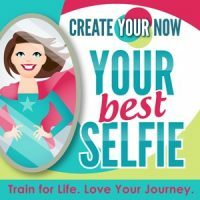 Get ready to create your now!! The K.I.S.S. ~ Create Your N.O.W.! Living behind the curtain will not help you reach what God has planted within you. It’s time to get serious and create your N.O.W.! Identify the change, what you want in your life. What do you want that’s different than what you are doing currently? What is or could hold you back? What current season of life are you in that could bring about challenges? You are too valuable to settle for what others are doing. Stop watching their journey and focus on yours! It’s a performance of a lifetime! Get ready, because God’s timing is always perfect! The curtains are opening, time for the lead to take her place!